MANAGE YOUR ACCOUNT, SEE YOUR BALANCES AND DEPOSIT ON LINE HERE! Providing convenience, flexibility and controlled spending for the campus community since 1995! Cardinal Cash is a campus administered prepaid declining debit account accessd with your ID card. 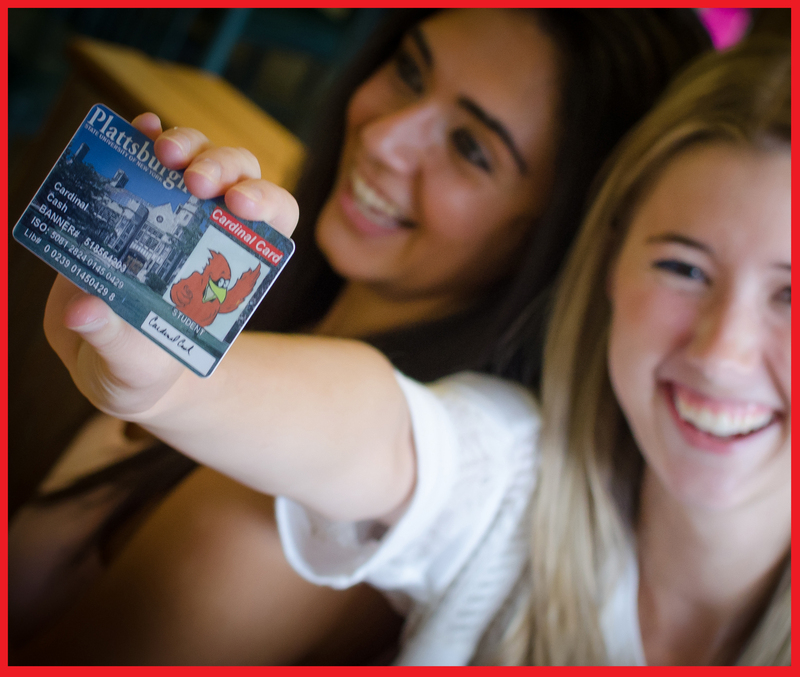 Every SUNY Plattsburgh Cardinal Card ID holder has a Cardinal Cash account. There is no need to "open" an account, to access the functionality of Cardinal Cash is to make a minimum deposit of $10.00. How do I make a purchase with Cardinal Cash? Go to an on campus or off campus locations and present your ID card. Let the cashier know you would like to make your purchase with Cardinal Cash. When the cashier swipes your card, the funds will be subtracted from your Cardinal Cash account immediately. You will be required to sign for the purchase and should receive a receipt from the merchant. Want to see if the purchase went through? Just go to Manage Your Account. Direct your questions to plattsburghcas@plattsburgh.edu.